Rihanna plays Never Have I Ever with Ellen and George Clooney. 24. 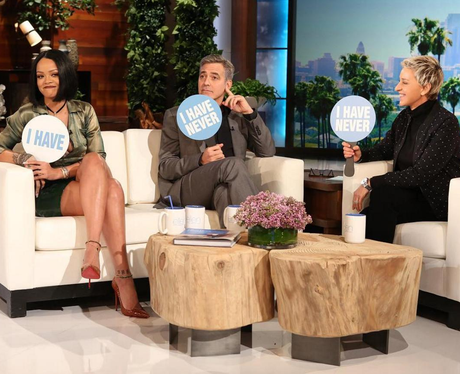 Rihanna plays Never Have I Ever with Ellen and George Clooney.